A BBC One Northern Ireland True North documentary, written and produced by Stephen Watson, has followed the transplant journey of Jo-Anne and Mark Dobson. Last March former Upper Bann MLA Jo-Anne underwent transplant surgery to donate a kidney to her son Mark. Mark, who is a double kidney transplant recipient, first received a transplant back in 2009, but in January 2017 that transplanted kidney sadly began to shut down. The program chronicles how mum Jo-Anne, now Northern Ireland Ambassador for national kidney patient charity Kidney Care UK, put herself forward to donate her kidney through the renal unit at the Belfast City Hospital. Commenting on taking part in the BBC documentary Jo-Anne said: “Last March Mark and I literally placed our lives in the hands of heroes. “The renal unit and it’s amazing staff hold a very special place in our hearts and we were absolutely thrilled to be part of this important documentary which has the power to inspire and to save lives through promoting the organ donation message. “The cameras followed us on our visits to the renal and transplant units at the City Hospital and Daisy Hill Hospital, as well as attending a very emotional organ donation service in Botanic Gardens and, at home and on our family farm. “Looking back it doesn’t seem anything like a year since we had our surgery and to see Mark looking so well makes it all worth while. “It’s hugely important to us to continue to promote a message of hope and that’s why teaming up with Stephen Watson in this way to share our story and to let people see behind-the-scenes of our transplant journey means so much to us. “Mark is one of the lucky ones because sadly not everyone has the opportunity to receive that gift of life through organ donation and this vital message is very much highlighted within the program. 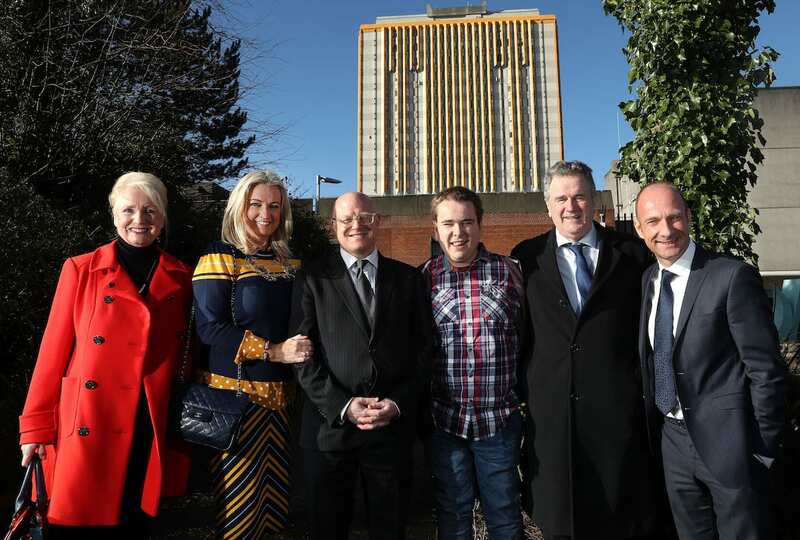 Also commenting the program writer and producer BBC Northern Ireland’s Stephen Watson said: “It has been such a privilege to work alongside Jo-Anne, Mark and their family as we continue to promote Organ Donation by highlighting the human stories behind the work at the Belfast renal unit. “We can be so proud in Northern Ireland that we have world-leading experts in our Renal units and the programme highlights both the patient perspective of spending ‘Life on the List’ as well as contributions from our amazing clinical professionals – the experts who make Belfast a world-renowned hub of transplantation, dialysis and research. “Being able to follow Mark and Jo-Anne throughout their live transplant journey enabled us to see Mark while he was on dialysis, undergoing transplant surgery and what life is like for him after receiving his mum’s kidney.